It's the Crafty Nurse back today with a frightful card featuring another new September Release Stamp by Technique Junkies. If you haven't had time to participate in the Design Team Blog Hop, I encourage you to check it out to see all the amazing holiday stamps being offered. Also, Pat is offering all September New Release Stamps at 15% off through September 8th so grab them while you can. For my card I used "Black Cat SD615"http://techniquejunkies.com/black-cat/ which I inked with Versafine Black Onyx Ink and heat embossed with clear powder. 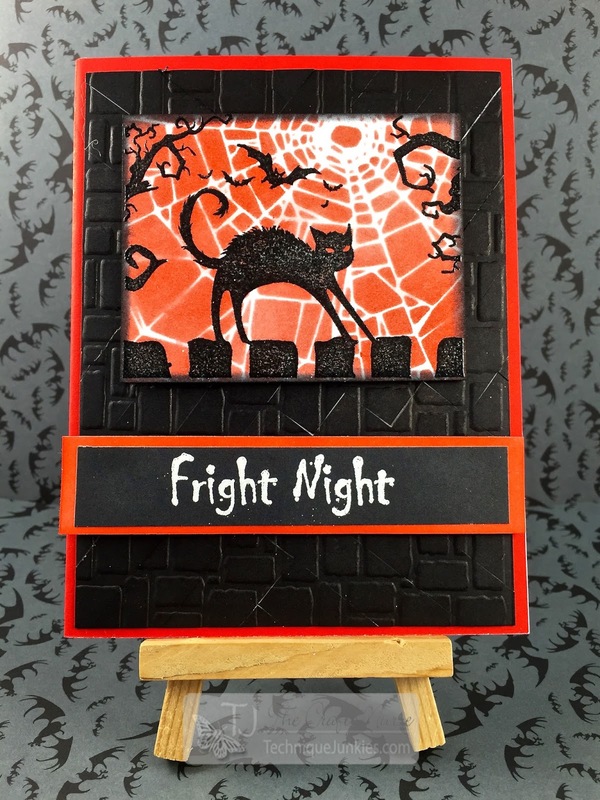 The background is made with Tim Holtz Spider Web Stencil and Ripe Persimmon Distress Ink. For the card base I began by creating the "Herringbone Technique" from the Designer Paper Perfection CD then ran that through a Darice brick wall embossing folder for more texture, and deepened the color with Black Soot Distress Ink. 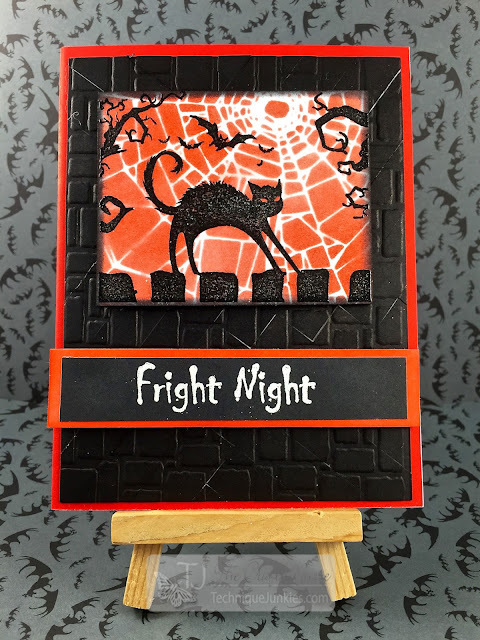 To finish, I stamped the sentiment from another new release stamp called, "Fright Night SDX054" and heat embossed with white powder. Even though we are fast approaching the holidays, please find some time to de-stress and get inky!